Jason Momoa Eyed for Batman Vs. Superman: Is He Doomsday or Martian Manhunter? 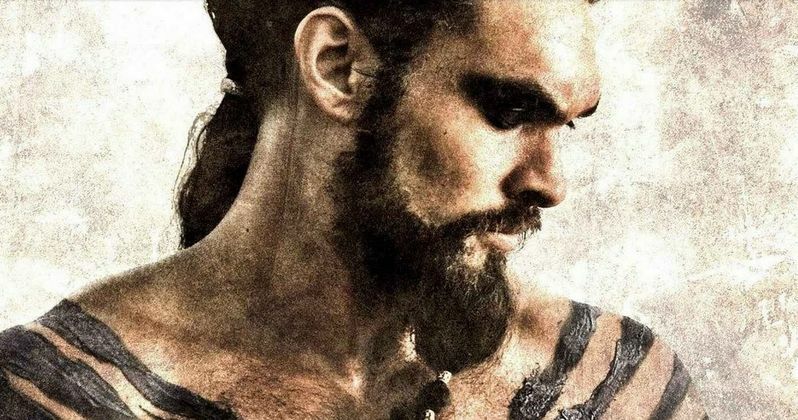 Jason Momoa is in negotiations for an unknown role in the highly-anticipated Batman Vs. Superman. If a deal is made, he will join Henry Cavill (Superman/Clark Kent), Ben Affleck (Batman), Amy Adams (Lois Lane), Diane Lane (Martha Kent), Laurence Fishburne (Perry White) and Gal Gadot (Wonder Woman). It is rumored that the actor might be playing the villain Doomsday or Martin Manhunter, although that has not been confirmed. In the DC Comics, Doomsday was the result of Kryptonian genetic engineering gone wrong, with superhuman strength, speed and leaping abilities. His skin is covered with bony spikes that can pierce through Kryptonian skin, and he also has the power of regeneration, causing him to come back to life if he is ever killed. Martian Manhunter is an alien with powers such as telepathy, shape-shifting, X-ray vision, along with super strength, speed and endurance. The actor's muscular 6'4" frame makes him an ideal candidate for either role. We reported last week that Warner Bros. is focusing its casting efforts on the Lex Luthor role, with the studio seeking African-American actors to play this iconic villain. However, that report also said it isn't set in stone that their new villain has to be African-American, so it's possible that Jason Momoa is up for this role as well. Zack Snyder is directing from a screenplay by David S. Goyer, with production scheduled to begin next year in Michigan. Jason Momoa is best known for playing Khal Drogo in HBO's Game of Thrones and the title role in Lionsgate's Conan the Barbarian reboot. He most recently starred in Bullet to the Head alongside Sylvester Stallone. The actor was set to play Drax the Destroyer in Marvel's Guardians of the Galaxy. However, Marvel passed on the actor after he was reportedly holding out for more money. The role ended up going to Dave Bautista.